We've kept your family home cozy! V. M. O'Leary Sheet Metal & Heating earns your complete satisfaction in every service we provide. As a third-generation, family-owned company, we uphold exceptional standards in quality. From the products we provide, to the personalized attention we bring to each job, our team of licensed, bonded, and insured technicians are held to exacting standards. It is our extreme pleasure to take the stress, inconvenience, and high-pricing out of home and commercial temperature control. We provide a rewarding, affordable, and trustworthy choice you can always count on in McHenry County, Lake County & Northwest Cook County IL. 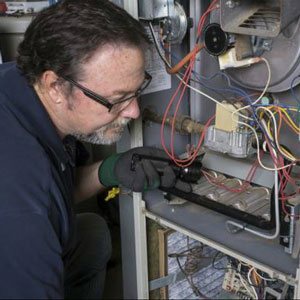 Call V. M. O'Leary Sheet Metal & Heating at (847) 462-7469 for superior heating and cooling system installation, maintenance, and repair, and we’ll meet your specific requirements without delay. Established in 1946, V. M. O'Leary Sheet Metal & Heating has held true to original values, yet kept up with the times. Combining honest answers and ethical business practices with state-of-the-art technology, we create a more comfortable, energy efficient, and accessible indoor climate, in both residential and commercial application. 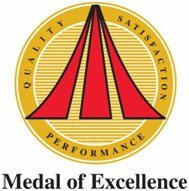 By meeting exacting training, service, and sales criteria, V. M. O'Leary Sheet Metal & Heating is distinguished as a Bryant Factory Authorized Dealer, and further recognized with the Bryant Medal of Excellence. We are experts in the leading-edge systems we install, not only matching the ideal equipment to the demands of your space, but enhancing quality, cost, and control over your comfort. Call V. M. O'Leary Sheet Metal & Heating for all your heating and air conditioning repairs, service, and installations! For proficient system design/installation, seasonal upkeep, prompt repair, or effective duct cleaning, V. M. O'Leary Sheet Metal & Heating handles every project with swift turnaround, meticulous care of your property, and sustainable results. V. M. O'Leary Sheet Metal & Heating is here to meet your highest expectations at all times, providing Emergency Service, 24 hours, 365 days a year, throughout Algonquin, Barrington, Cary, Crystal Lake, Wauconda, Fox River Grove, Lake in the Hills, McHenry, Lake Zurich, West Dundee, Huntley, Island Lake & Carpentersville, IL.